It may seem like a long time ago now, but think back to this past December. One of the greatest things to happen, besides the release of the new Star Wars film, was the world’s unbridled obsession with the new Star Wars film. The Force Awakens was a constant theme of conversation with friends and strangers alike. Whether I went out for groceries or gifts or just a good time, I knew I could always find the droids I was looking for. For a whole magical month, it was as if the entire population of the planet was one big happy fandom. In recent years, the expansion of pop culture and media has hurled geek culture from the social fringes to the forefront of the world’s attention. As geek culture becomes more validated and expanded by wider recognition, fan communities have more influence and power on the larger social stage. This is especially meaningful when fan communities direct their engagement and passion outward and become fan activists. When most of us think about activism, we picture volunteers for a humanitarian nonprofit group handing out soup to the hungry, or protesters outside the White House and petitioners with clip boards on the streets lead by political organizations. 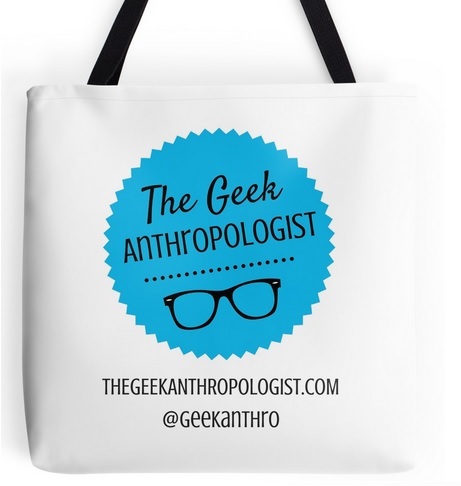 We don’t think about our geeky friends, bookworms, movie buffs, and video game enthusiasts; we don’t think about the throngs of fangirls and fanboys who line up at Comic Con for their favorite panels; and we certainly don’t think about Stormtroopers. But The 501st Legion and other fan activist groups are changing the way fans think about social activism and engagement. Since its founding in 1997 by Albin Johnson and Tom Crews, the group has attracted over eight thousand members worldwide, and has participated in countless campaigns to help support anti-bullying, cancer research, blood drives, and over 40 nonprofit and charity organizations. 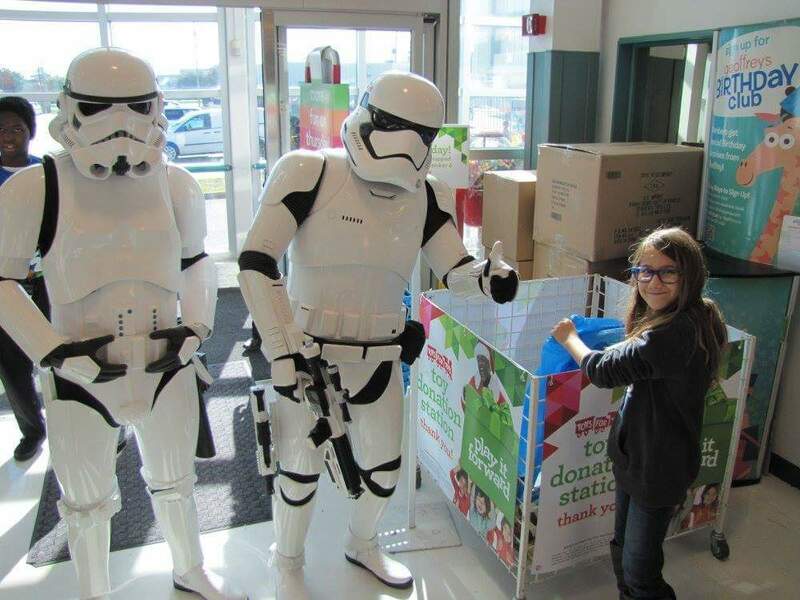 Their stated mission is to promote Star Wars through costuming and give back to the community through volunteer work and charitable fundraising, and as a result, the good bad-guys of the 501st have become a galaxy leading example of fan activism. Social activism is basically any act, organized by an individual or group, that intentionally works to fulfil a need or issue in their social world. Anyone acting to bring about social change is an activist. Today, more social activism is being organized online in order to reach more people and inspire more large-scale involvement. Twitter, Facebook, Tumblr and other social networking sites are designed to “foreground interaction,” which allows people to share their ideas, photos, opinions, videos and other media across a limitless population (Hands 2011, p.18). Through this continuous stream of media sharing, activist groups are more able than ever to spread awareness for their cause, draw support, and organise action. Fandoms use this same media-sharing method of networking to develop similar international, decentralized communities on social networking sites. Using their passion for a show, movie, band, or book as a focus for their engagement the way activists use a mission or goal, fandom members participate in their community by creating and sharing theories, ideas, fan art, cosplay tips, and an endless list of other media. Sharing this media creates and strengthens horizontal networks of communication among fans, with no strict organization or hierarchy. As these networks grow and strengthen, the networks become communities, and communities become a subculture. While social activists are working together to change the world, most fandom communities are focused on creating media like fan art, gifs, cosplays, fanfiction, etc. and sharing it among their own members and strengthening the networks of the community. When the engagement turns outwards, and members begin using their networks of fellow fans and their passion for media to make social change, fan activism takes shape. Arguably the most significant defining characteristic of fan activism is its relationship to media. Whether it’s a popular television show, book, band, game, or movie, having interest and knowledge of a particular media icon in common provides not only the grounds of relationship but also flavors fan involvement and motivations. In the case of The 501st Legion, the iconic Star Wars costumes used by members are also made by members, and have acted as the backbone of the group’s history, community, and volunteer activities. Even the military-esque group name and solidarity harken back to the ranks of Stormtroopers in the original films. 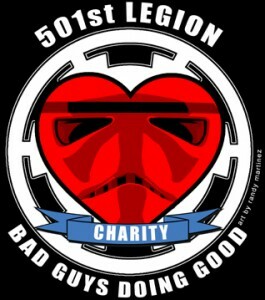 The 501st Legion is by no means the only fan activist group currently working to make the world a better and geekier place. The Rebel Legion, another Star Wars themed costuming group, is The 501st’s light-side counterpart organized in the late 1990’s as a response to The 501st’s growing popularity. 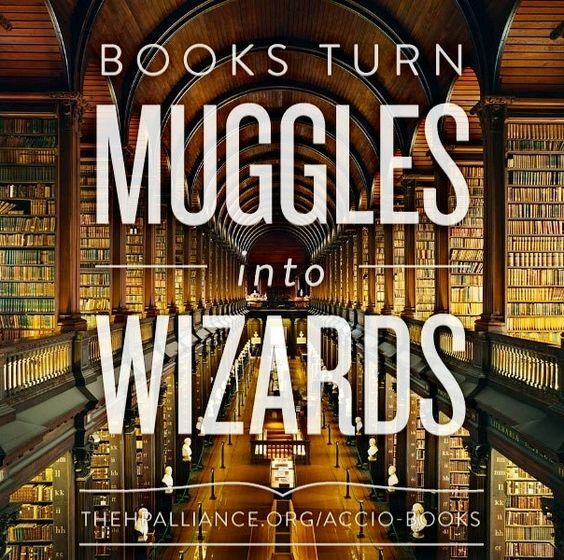 Many Harry Potter fans are already aware of The Harry Potter Alliance, and their campaigns to promote literacy, human rights, and more in the pursuit of a more magical world. Inspired by Joss Whedon’s strong female characters and feminist themes, the Browncoats (fans of Whedon’s Firefly) annually hold a global charity ‘shindig’, Can’t Stop the Serenity, to support Equality Now and other nonprofits fighting for women’s rights around the world. And these are only a few examples from an ever-growing list. Accio Books, which promotes literacy around the world, is just one of the HPA’s campaigns. Unlike franchise-driven charity and volunteer groups like Force for Change, fan activism is almost always initiated and organized by the fans. This difference is critical because the lack of franchise-endorsed hierarchy and regulation means that fans have the freedom to interpret and engage with the media content and their activist mission on their own terms. It isn’t just about raising money for a good cause under the banner of a movie or TV show; it’s about fans’ shared passion and motivation, doing what they love in such a way that it, ideally, betters the lives of others. As the population of the geek culture and fandom communities continues to grow in our media-rich society, it is more than likely that fandoms and fan activism will play an even more impactful role on the social and political stage. Some scholars have already speculated that fan activism is encouraging younger, more “cyber-minded” generations to engage with today’s political and social issues (Kligler-Vilenchik et al. 2012). Fan activism is a powerful and unique blend of pop culture media and independent, decentralized organization that strives eagerly to make the galaxy a better place for everyone. Hands, J. (2011.) @ is for activism: dissent, resistance and rebellion in a digital culture. London: Pluto.